The most painful part for any woman is to run behind the tailors to covert their treasured dress materials into a beautiful outfit. 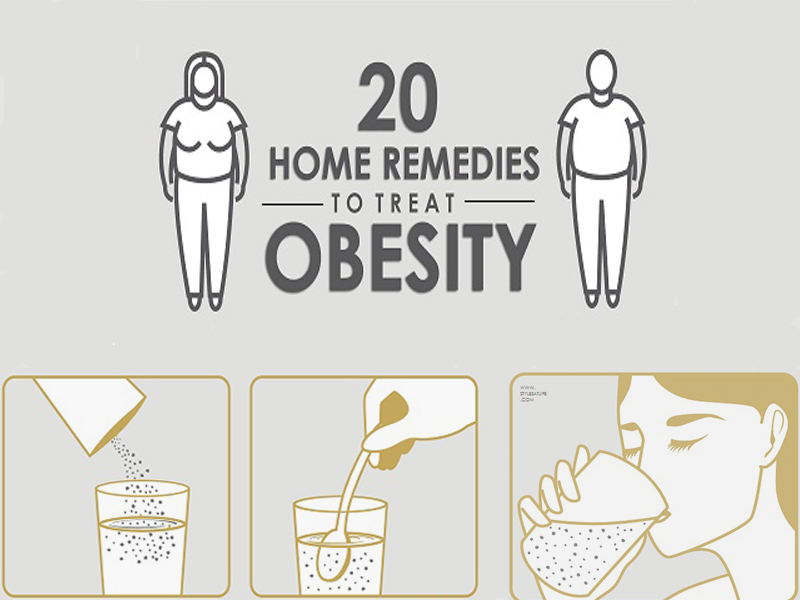 From fit to design and even getting it delivered on time, most of us would have comprised on fine details in this ordeal. Well, not anymore! Semi-Stitched salwar suits comes to your rescue, with a pre-stitched pattern which needs minimal stitching efforts. Not only do they come in different cuts, patterns and designs, but a number of color and fabric choices are available. They are “one-size-fits-all” dresses, designed to suit anybody. Unlike the unstitched materials, semi-stitched salwars need just an outline stitch to flatter your body. Let’s look at these top 15 choices in Salwar Stitching Models. The salwar comes in a free-size stitched model. 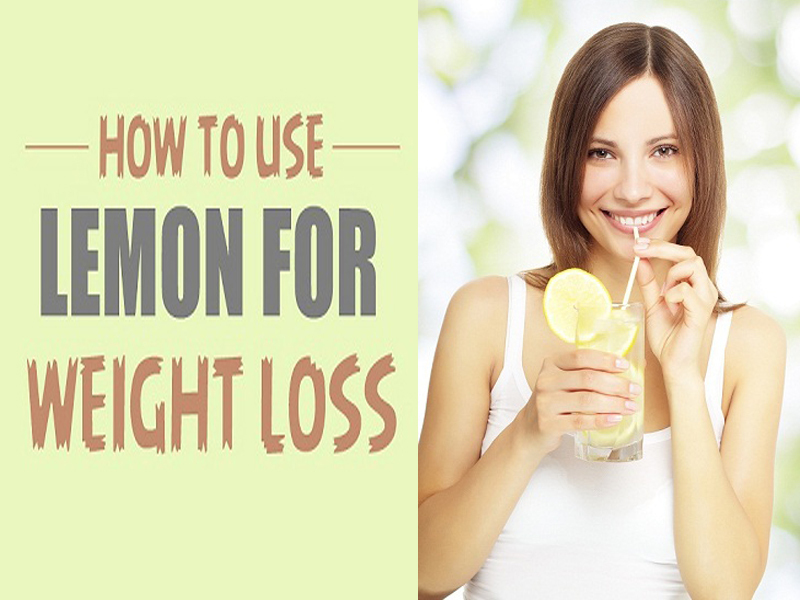 It can be adjusted on the waist using elastic or a thread. You don’t have to worry about the pattern with these salwar suits and focus on just getting the right fit. Semi-stitched salwar suits come in a number of fabrics to choose from. 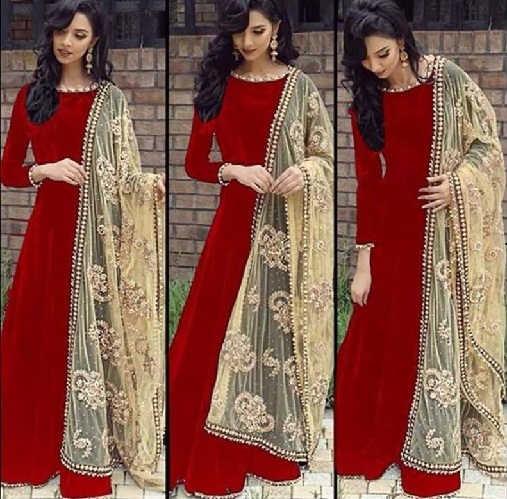 Depending on the occasion and the time of the event, you can pick from materials like – cotton, linen, georgette, chiffon, silk, rayon, lycra, velvet, net, crepe, satin, art silk and other cloth varieties. The most amazing part of these salwar suits is that the same dress can be customised to suit any personality or age group. Women between the age groups 40-70 years can pick sober varieties with minimal embellishment, while the younger generation can experiment with different styles and patterns. All you need is a neat stitch on end to make it suitable for your body type. Let we have to look at the top 15 stitched salwar suits designs with pictures. If you are looking for a daily wear outfit, check out this black and peach cotton semi-stitched salwar suit. The Kurta is beautifully decorated with vibrant prints on the high neckline, sleeves and the border. The bottom is a printed peach Patiala salwar pant which perfectly complements the dark coloured top. 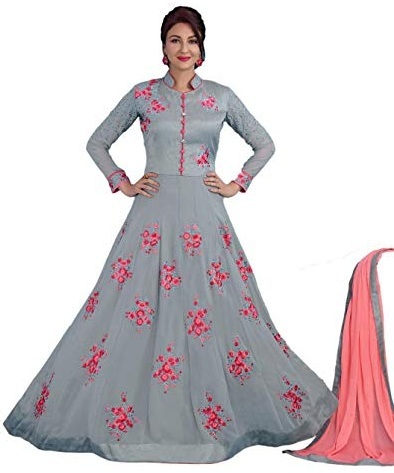 Check out this stunning grey and pink designer semi-stitched salwar suit. The soothing combination of these light colours make it an instant hit for day parties. The wide flared frock style Kurta is given minimal embellishment with thread work and satin border. You can wear it with a pink Dupatta and matching accessories to look like a dream girl! This beautiful maroon dress is designed to kill! The georgette readymade semi-stitched salwar suit with Santoon bottom is perfect for acing the Royal Mughal look. The Kurta is adorned with simple thread work, while the bottom is heavily done with intricate patterns. Wear it with a maroon dupatta to create a stunning look! 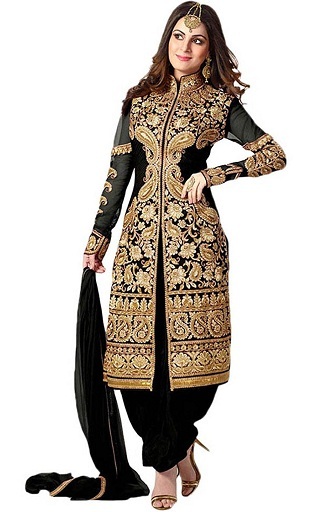 This Bandhgala style semi-stitched embroidery salwar suit is perfect for weddings and large events. The black georgette A-line kurta is heavily embellished with Kashmiri style golden thread embroidery all over the body and the sleeves. A front hidden button panel is given to make it easy to wear. The bottom is a plain black classic salwar, which perfectly complements the top. 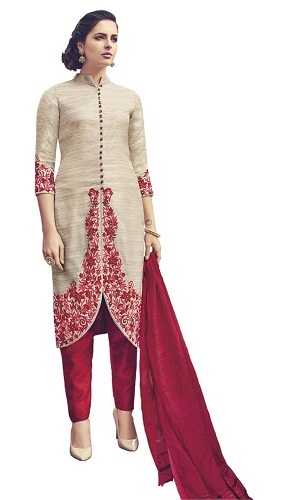 This maroon and cream Patiala style semi-stitched salwar suit is an ideal pick for college wear. The simple maroon top is complemented with the soft cottony Patiala salwar. It is one of the most comfortable dresses for summer wear, which can make your skin breathe. The delicate embroidery on the Kurta makes it a popular pick for small parties as well. If you are looking for a light-colored outfit, check out this pastel pink georgette semi-stitched salwar suit. This is one of the most pleasing outfit designs for day events and small gatherings. The Kurta is a straight cut model with intricate thread embroidery on the neck and Yoke portion. The dupatta is also adorned with matching work to make the outfit look complete! This is straight fit stitched salwar kameez with plain pink kameez. The churidar is also plain and there is floral patchwork on the neck. The bottom of kameez also contains broad leaf pattern work. The awesome net dupatta has flower patchwork at some interval. This is amazing semi-stitched salwar suit with a slight cut on the front side. The suit is made heavy with broad border on the neck and there is also red floral print on shoulder and chest. There is also thick border attached on pant salwar. The sleeve has small red flowers with a circular golden border. This stitched salwar suit is having apple cut kameez with mango motif, pink and golden border at the end of the sleeve and on round shape kameez. It has Afghani style salwar with nice petals that gets blocked on the ankle with green fabric. This colour combination is looking different. It is Bandhani print salwar suit design for stitching. There is mango motif straight line print on kameez with half sleeve. The salwar is plain and simple. The dupatta is tri-color with a dot pattern in the middle. This suit design is simple and mostly adopted for wearing on a regular basis. It is gorgeous salwar kameez design for stitching with white and blue colour. The kurta is having a big design on the chest area and at the bottom. The end of kurta contains lacework. The blue churidar is plain and dupatta has white colour round thread work design. It is latest salwar kameez design for stitching with floor-length red silk kurta. The churidar is not visible and there is a golden colour bead design border over neck, sleeve and bottom of kurta. The dupatta is simply lovely with dual border and attractive golden design. This salwar design for stitching is regular with churidar pattern. The kurta is printed with neck pattern and square design at the end of kurta. The highlight is dupatta with a multi-colour square design. The salwar also has a thin black lining. It is party wear fully stitched salwar suits with a pattern on kurta. The neck is pack with red bead line. The end of kurta has V shape with red colour floral thread work. The salwar is pant style and plain. 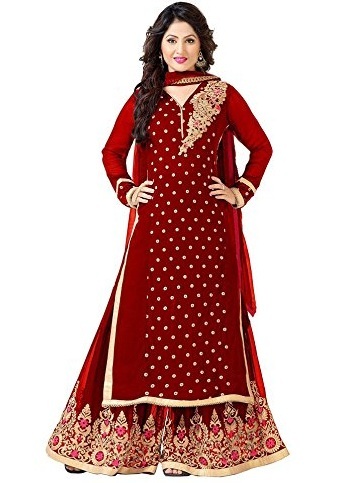 This is a unique design in salwar suit with sober appearance. This is the latest salwar kameez stitching pattern with long Anarkali kurta and front cut. From neck to waist there is the big circular design of golden and pink colour. Below the waist, there is amazing floral work done with thread. There is shiny golden border over the end of kurta, dupatta and sleeve. How To Style Semi-Stitched Salwars? If you are looking for a work or college wear dress, choose a straight cut semi-stitched salwar suit. For weddings and gatherings, you can try opting for different models like Anarkalis or Palazzos. Pick simple dresses and elevate them with different types of accessories to create a new look with the same dress. Use the mix and match concept to add in an element of creativity. Wear nice sandals like Jutis or high heels for a graceful gait. Adding some metallic bangles can bring in the bling factor. Pleased with our semi-stitched Salwar collection? We bet you are! These stunning pieces can make any woman look beautiful and stylish in a jiffy. The patterns and designs of these outfits are specially created by the designers and cannot be replicated by the local tailors. The added bonus of these suits is that You get to wear what you choose and what you see! So, what are you waiting for? Time to switch to these new-gen Salwar suits and get Insta-ready! How to Stop Hating other Women?